Gone back to giving this map some life. But Armandolas did make a couple of good points so have kept some of the things he asked for on this one. Slave entrances, numbers, glows. Simple things like that. Also, one last adjustment to the xml has been made. Dead Warriors have now lost their numbers. I know it is not a big difference, but it should help to confuse some bob users. nolefan5311 wrote: Why would you never play it? Never liked playing these types of maps (Feudals etc). Over five thousand games, less than 100 have been played on these types of maps. You're missing out on the best maps Koontz! I'm gonna play this one so much haha. That is why I made it dean. For the guys like you who like this type of map. Can you have 6 bonuses of the same name? It's not like the numbers gave anything away anyway (the number were not specific to a place on the map). nolefan5311 wrote: Can you have 6 bonuses of the same name? It's not like the numbers gave anything away anyway (the number were not specific to a place on the map). You can, Christmas map has all bonuses for the tree named the same. Same as the Vertex/Austrum maps. All bonuses on that are connection of 4 in Latin. You can have bonuses of the same name. If (two year old plus) memory serves, the bonuses will show up as one bonus that's worth a total of the bonuses. Say you have 6 bonuses labelled "Medusa" and you own 3 of them, I believe it will show up as +3 for owning "Medusa". I may be wrong, as I said I haven't played much in the last couple years, but I'm pretty sure that's how Arms Race handles the Uranium mines, for example. Sorry for the long delay, but now it's time to play!!!! ---The development period has concluded for the Labyrinth Map. All objections have had their time. 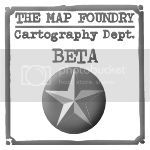 The Foundry and I hereby brand this map with the Foundry Beta Brand. Let it be known that this map is now ready for BETA Play. After an extended period of time in BETA and once all quirks and issues have been resolved, the map will be put into Full Play (barring any Admins or Foundry Foreman vetoes). Sounds good to me!! Great job koontz this map is beautiful. Thanks you boss for getting this sorted. OK guys, enjoy the map. I may even play a game on it. Just started a game, positions are not as coded. The corners should only be given out at a max of 1 per player. nole started with 3 in this game. 12521728 What xml is being used. found the problem and sent corrections to nole. I think those slight changes made some difference in the end. The legend is more readable and the contrast in the Letters/numbers made the wall look nicer. - Relocated the coordinates for Promotheus so the army numbers aren't sitting on top of his face. Great map kootz! No problems that I can find right now. My first impressions are that the slave entrances autodeploying at +1, and the region bonus not kicking in until 15, is going to make for some very, very long games. Those are just my initial impressions from a 1v1 game...koontz and I are in Round 8, and we both have less than 15 regions and less than 25 armies. koontz, the font you've used in the legend looks sort of iffy and I can't quite put my finger on why. Have you used auto-hinter and anti-aliasing ? Mess with the layer mode? Consider adding a really low-opacity glow around the characters? nolefan5311 wrote: My first impressions are that the slave entrances autodeploying at +1, and the region bonus not kicking in until 15, is going to make for some very, very long games. Don't touch it! 1v1 is working great for me. Maybe an auto of 2 but I like the +1 and don't see reason to make the deploy massive. I don't really see much reason to move at all though ^^^ see above. As for it taking too long? Try Hive and Conquer Man. It is just something you have to deal with. There's no such thing as a two round strike on this map (assuming, of course, you mean elimination). Remember there's a conditional border to be able to attack slave entrances. I don't mean elimination. I mean turning the map into a boring variation of Antarctica with sieges occurring outside the bases. What I refer to is a 2nd round strike into the bonus area. And no offense Gil, but I don't think you have even finished game on the map and I have 7 in the bag. Which brings me to my first criticism. It would be nice to code the starts in 1v1 so that you both hold an even number of corners (each having a 2 neutrals to cut through to get the cups) I don't mind if it's each having 2 corners and one middle or visa versa. puppydog85 wrote: I don't mean elimination. I mean turning the map into a boring variation of Antarctica with sieges occurring outside the bases. What I refer to is a 2nd round strike into the bonus area. And no offense Gil, but I don't think you have even finished game on the map and I have 7 in the bag. Really glad you are liking it. The corners are coded for even starts. Just a bit of the code was left out and it did not work. Will be OK at next update. As for the concern for the second round hits and the sieges (like Antarctica), I stopped this with the ring of fire. Each slave entrance has at least 2 exit points from that. Would you consider the +2 slave entrances too high? I was considering the reinforcements, but I do think a 1/5 is too low. A 1/4 seems much nicer. Leave the minimum at 3 then. I like the ring of fire, don't get me wrong, but it does not stop a siege in the sense of me shooting across and breaking any bonus you might have, then sitting with a stack on the food while running around and getting a bigger bonus. Getting food is key. A low deploy means it really takes until round 2 to get them. 2nd (imho) is getting the dead warriors. And with the low deploy you can safely go for them without opening yourself up to a strike across the horses _or_ if you see your opponent getting ready for a strike you can switch to another goal. With a larger auto and deploy, 2 things happen- 1st-The food will be gotten sooner, (with luck, the first round) giving more advantage to the first person to go. I really think you stumbled (or your massive insight into game-play came up with it, take your pick) onto a great 1v1 setup as it is. I am not adverse to changing it to see how it goes ( could be totally wrong in my projections), but only if it is easy to switch back if it does not work out. I just don't see changing it because it will take a while to win. I'm not saying that I know more about the map than you. I just wanted to clarify what you meant by "first turn strike", cause I thought you meant elimination.